A full day introduction (or refresher) of OpSpec Training’s techniques and philosophy on trigger control. Taught by master instructors Jerry Jones and/or Bruce Gray. This course is normally only offered at SIG SAUER Academy, on a Sunday following the two-day Practical Fundamentals class. At SIG SAUER Academy, the course is held indoors, and frangible ammunition is required. 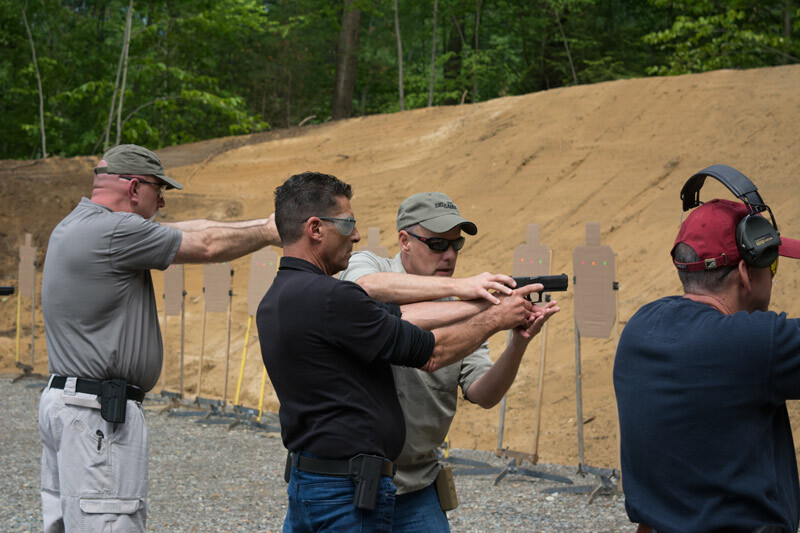 Pistol Skill Builder is OpSpec Training’s one-day review of our flagship Practical Fundamentals course. The program focuses on the process of running the gun, using dry and live fire exercises while focusing on marksmanship fundamentals and trigger control. This is not a beginning handgun course. Students should have completed a basic safety/CCW class and have experience with their firearm and gear prior to enrolling. This program is appropriate as a refresher or an add-on day for those who have completed OpSpec Training’s Practical Fundamentals course. The senior staff at OpSpec Training has more than 80 years of combined firearms experience. During this time, the team found shooters who excel at a high level – despite varied styles of trigger control, and mission goals – have one thing in common, they all have a mastery of the fundamentals and can produce them on demand. Objectives will be achieved with a strong emphasis on safety. 300 to 400 rounds of ammunition. At least three magazines for your pistol. The course fee for Skill Builder is $225, plus applicable range fees. Contact us for information on group rates.